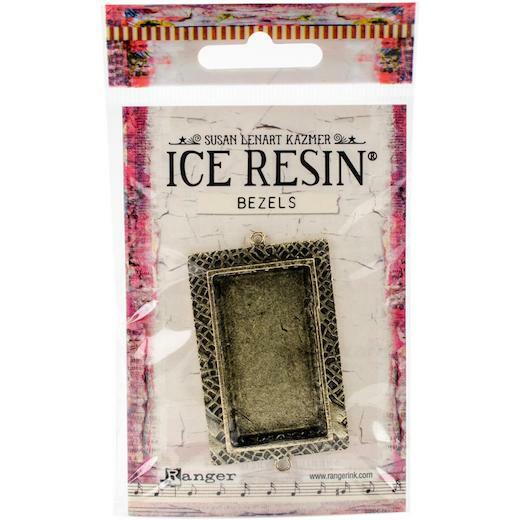 ICE Resin-Milan Bezels Closed Back Large Rectangle: Antique Bronze. With a closed back, it is ideal to fill with ICED Enamels, Shattered Mica, German Glass Glitter, Opals and ICE Resin (sold separately). This package contains one metal closed back rectangle piece. Inner Bezel Dimensions: 46mm L x 27mm W x 5mm H (depth). Outer Bezel Dimensions: 52mm L x 34mm W.